An architect is a person who plans, designs and reviews the construction of buildings. To practice architecture means to provide services in connection with the design of buildings and the space within the site surrounding the buildings that have human occupancy or use as their principal purpose. Etymologically, architect derives from the Latin architectus, which derives from the Greek (arkhi-, chief + tekton, builder), i.e., chief builder. Professionally, an architect's decisions affect public safety, and thus an architect must undergo specialized training consisting of advanced education and a practicum (or internship) for practical experience to earn a license to practice architecture. Practical, technical, and academic requirements for becoming an architect vary by jurisdiction. Throughout ancient and medieval history, most of the architectural design and construction was carried out by artisans—such as stone masons and carpenters, rising to the role of master builder. Until modern times, there was no clear distinction between architect and engineer. In Europe, the titles architect and engineer were primarily geographical variations that referred to the same person, often used interchangeably. It is suggested that various developments in technology and mathematics allowed the development of the professional 'gentleman' architect, separate from the hands-on craftsman. Paper was not used in Europe for drawing until the 15th century but became increasingly available after 1500. Pencils were used more often for drawing by 1600. The availability of both allowed pre-construction drawings to be made by professionals. Concurrently, the introduction of linear perspective and innovations such as the use of different projections to describe a three-dimensional building in two dimensions, together with an increased understanding of dimensional accuracy, helped building designers communicate their ideas. However, the development was gradual. Until the 18th-century, buildings continued to be designed and set out by craftsmen with the exception of high-status projects. In most developed countries, only those qualified with an appropriate license, certification or registration with a relevant body (often governmental) may legally practice architecture. Such licensure usually requires a university degree, successful completion of exams, as well as a training period. Representation of oneself as an architect through the use of terms and titles is restricted to licensed individuals by law, although in general, derivatives such as architectural designer are often not legally protected. To practice architecture implies the ability to practice independently of supervision. The term building design professional (or Design professional), by contrast, is a much broader term that includes professionals who practice independently under an alternate profession, such as engineering professionals, or those who assist in the practice architecture under the supervision of a licensed architect such as intern architects. In many places, independent, non-licensed individuals may perform design services outside the professional restrictions, such design houses and other smaller structures. In the architectural profession, technical and environmental knowledge, design and construction management, and an understanding of business are as important as design. However, the design is the driving force throughout the project and beyond. An architect accepts a commission from a client. The commission might involve preparing feasibility reports, building audits, the design of a building or of several buildings, structures, and the spaces among them. The architect participates in developing the requirements the client wants in the building. Throughout the project (planning to occupancy), the architect co-ordinates a design team. Structural, mechanical, and electrical engineers and other specialists, are hired by the client or the architect, who must ensure that the work is co-ordinated to construct the design. The architect, once hired by a client, is responsible for creating a design concept that both meets the requirements of that client and provides a facility suitable to the required use. The architect must meet with, and question, the client in order to ascertain all the requirements (and nuances) of the planned project. Often the full brief is not entirely clear at the beginning: entailing a degree of risk in the design undertaking. The architect may make early proposals to the client, which may rework the very terms of the brief. The "program" (or brief) is essential to producing a project that meets all the needs of the owner. This then is a guide for the architect in creating the design concept. Design proposal(s) are generally expected to be both imaginative and pragmatic. Depending on the place, time, finance, culture, and available crafts and technology in which the design takes place, the precise extent and nature of these expectations will vary. F oresight is a prerequisite as designing buildings is a very complex and demanding undertaking. Any design concept must at a very early stage in its generation take into account a great number of issues and variables which include qualities of space(s), the end-use and life-cycle of these proposed spaces, connections, relations, and aspects between spaces including how they are put together as well as the impact of proposals on the immediate and wider locality. Selection of appropriate materials and technology must be considered, tested and reviewed at an early stage in the design to ensure there are no setbacks (such as higher-than-expected costs) which may occur later. The site and its environs, as well as the culture and history of the place, will also influence the design. The design must also countenance increasing concerns with environmental sustainability. The architect may introduce (intentionally or not), to greater or lesser degrees, aspects of mathematics and architecture, new or current architectural theory, or references to architectural history. A key part of the design is that the architect often consults with engineers, surveyors and other specialists throughout the design, ensuring that aspects such as the structural supports and air conditioning elements are coordinated in the scheme as a whole. The control and planning of construction costs are also a part of these consultations. Coordination of the different aspects involves a high degree of specialized communication, including advanced computer technology such as BIM (Building Information Management), CAD, and cloud-based technologies. At all times in the design, the architect reports back to the client who may have reservations or recommendations, introducing a further variable into the design. Architects deal with local and federal jurisdictions about regulations and building codes. The architect might need to comply with local planning and zoning laws, such as required setbacks, height limitations, parking requirements, transparency requirements (windows), and land use. Some established jurisdictions require adherence to design and historic preservation guidelines. Health and safety risks form a vital part of the current design, and in many jurisdictions, design reports and records are required which include ongoing considerations such as materials and contaminants, waste management and recycling, traffic control and fire safety. Previously, architects employed drawings to illustrate and generate design proposals. While conceptual sketches are still widely used by architects, computer technology has now become the industry standard. However, design may include the use of photos, collages, prints, linocuts, and other media in design production. Increasingly, computer software such as BIM is shaping how architects work. BIM technology allows for the creation of a virtual building that serves as an information database for the sharing of design and building information throughout the life-cycle of the building's design, construction and maintenance. As current buildings are now known to be high emitters of carbon into the atmosphere, increasing controls are being placed on buildings and associated technology to reduce emissions, increase energy efficiency, and make use of renewable energy sources. Renewable energy sources may be developed within the proposed building or via local or national renewable energy providers. As a result, the architect is required to remain abreast of current regulations which are continually tightening. Some new developments exhibit extremely low energy use. However, the architect is also increasingly required to provide initiatives in a wider environmental sense, such as making provision for low-energy transport, natural daylighting instead of artificial lighting, natural ventilation instead of air conditioning, pollution, and waste management, use of recycled materials and employment of materials which can be easily recycled in the future. As the design becomes more advanced and detailed, specifications and detail designs are made of all the elements and components of the building. Techniques in the production of a building are continually advancing which places a demand on the architect to ensure that he or she remains up to date with these advances. Depending on the client's needs and the jurisdiction's requirements, the spectrum of the architect's services during construction stages may be extensive (detailed document preparation and construction review) or less involved (such as allowing a contractor to exercise considerable design-build functions). Architects typically put projects to tender on behalf of their clients, advise on the award of the project to a general contractor, facilitate and then administer a contract of agreement which is often between the client and the contractor. This contract is legally binding and covers a very wide range of aspects including the insurances and commitments of all stakeholders, the status of the design documents, provisions for the architect's access, and procedures for the control of the works as they proceed. Depending on the type of contract utilized, provisions for further sub-contract tenders may be required. The architect may require that some elements are covered by a warranty which specifies the expected life and other aspects of the material, product or work. In most jurisdictions, prior notification to the relevant local authority must be given before commencement on site, thus giving the local authority notice to carry out independent inspections. The architect will then review and inspect the progress of the work in coordination with the local authority. The architect will typically review contractor shop drawings and other submittals, prepare and issue site instructions, and provide Certificates for Payment to the contractor (see also Design-bid-build) which is based on the work done to date as well as any materials and other goods purchased or hired. In the United Kingdom and other countries, a quantity surveyor is often part of the team to provide cost consulting. With very large, complex projects, an independent construction manager is sometimes hired to assist in the design and to manage construction. In many jurisdictions, mandatory certification or assurance of the completed work or part of works is required. This demand for certification entails a high degree of risk - therefore, regular inspections of the work as it progresses on site is required to ensure that is in compliance with the design itself as well as with all relevant statutes and permissions. Recent decades have seen the rise of specializations within the profession. Many architects and architectural firms focus on certain project types (for example, healthcare, retail, public housing, event management), technological expertise or project delivery methods. Some architects specialize as building code, building envelope, sustainable design, technical writing, historic preservation(US) or conservation (UK), accessibility and other forms of specialist consultants. Many architects elect to move into real estate (property) development, corporate facilities planning, project management, construction management, interior design, city planning, or other related fields. Professionals engaged in the design and supervision of construction projects prior to the late 19th century were not necessarily trained in a separate architecture program in an academic setting. Instead, they often trained under established architects. Prior to modern times, there was no distinction between architects, engineers and often artists, and the title used varied depending on geographical location. They often carried the title of master builder or surveyor after serving a number of years as an apprentice (such as Sir Christopher Wren). The formal study of architecture in academic institutions played a pivotal role in the development of the profession as a whole, serving as a focal point for advances in architectural technology and theory. Architects' fee structures are typically based on a percentage of construction value, as a rate per unit area of the proposed construction, hourly rates or a fixed lump sum fee. Combinations of these structures are also common. Fixed fees are usually based on a project's allocated construction cost and can range between 4 and 12% of new construction cost, for commercial and institutional projects, depending on a project's size and complexity. Residential projects range from 12 to 20%. Renovation projects typically command higher percentages, as high as 15-20%. Overall billings for architectural firms range widely, depending on location and economic climate. Billings have traditionally been dependent on the local economic conditions but, with rapid globalization, this is becoming less of a factor for larger international firms. Salaries also vary, depending on experience, position within the firm (staff architect, partner, or shareholder, etc. ), and the size and location of the firm. A wide variety of prizes is awarded by national professional associations and other bodies, recognizing accomplished architects, their buildings, structures, and professional careers. 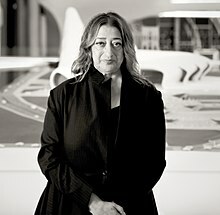 The most lucrative award an architect can receive is the Pritzker Prize, sometimes termed the "Nobel Prize for architecture." Other prestigious architectural awards are the Royal Gold Medal, the AIA Gold Medal (USA), AIA Gold Medal (Australia), and the Praemium Imperiale. Architects in the UK, who have made contributions to the profession through design excellence or architectural education, or have in some other way advanced the profession, might until 1971 be elected Fellows of the Royal Institute of British Architects and can write FRIBA after their name if they feel so inclined. Those elected to chartered membership of the RIBA after 1971 may use the initials RIBA but cannot use the old ARIBA and FRIBA. An Honorary Fellow may use the initials Hon. FRIBA. and an International Fellow may use the initials Int. FRIBA. Architects in the US, who have made contributions to the profession through design excellence or architectural education, or have in some other way advanced the profession, are elected Fellows of the American Institute of Architects and can write FAIA after their name. Architects in Canada, who have made outstanding contributions to the profession through contribution to research, scholarship, public service, or professional standing to the good of architecture in Canada, or elsewhere, may be recognized as a Fellow of the Royal Architectural Institute of Canada and can write FRAIC after their name. In Hong Kong, those elected to chartered membership may use the initial HKIA, and those who have made a special contribution after nomination and election by The Hong Kong Institute of Architects (HKIA), may be elected as fellow members of HKIA and may use FHKIA after their name. Architects in the Philippines and Filipino communities overseas (whether they are Filipinos or not), especially those who also profess other jobs at the same time, are addressed and introduced as Architect, rather than Sir/Madam in speech or Mr./Mrs./Ms. (G./Gng./Bb. in Filipino) before surnames. That word is used either in itself or before the given name or surname. ^ "The Nova Scotia Legislature". Office of the Legislative Counsel. Nova Scotia House of Assembly. 2006. Archived from the original on July 21, 2011. Retrieved 8 March 2019. ^ Harper, Douglas. "architect". Online Etymology Dictionary. Archived from the original on 24 April 2011. Retrieved 8 March 2019. ^ Murray, Peter (1986). Burckhardt, Jacob (ed.). The Architecture of the Italian Renaissance. Knopf Doubleday Publishing Group. p. 242. ISBN 0-8052-1082-2. ^ "Civil Engineering Defined - Civil Engineering Definitions and History". smweng.com. Archived from the original on 25 April 2012. Retrieved 8 March 2019. ^ "Filippo Brunelleschi". Totally History. Retrieved 8 March 2019. ^ a b c d Pacey, Arnold (2007). Medieval Architectural Drawing: English Craftsmen's Methods and Their Later Persistence (c.1200-1700). Stroud: Tempus Publishing. pp. 225–227. ISBN 978-0-7524-4404-8. ^ Vardhan, Harsh. "Different types of work by architects". Archibuddy. Archived from the original on 17 March 2018. Retrieved 17 March 2018. ^ Üngür, Erdem. "Space: The undefinable space of architecture": 12. Archived from the original on 19 December 2016. Retrieved 8 March 2019 – via Academia.edu. ^ Rosenfield, Karissa (5 June 2015). "17 Napkin Sketches by Famous Architects". ArchDaily. ISSN 0719-8884. Retrieved 8 March 2019. ^ Rybczynski, Witold (30 March 2011). "Think Before You Build". Slate.com. The Slate Group. Graham Holdings Company. Archived from the original on 14 June 2018. ^ "Frequently Asked Questions About the National BIM Standard-United States". National BIM Standard. National Institute of Building Sciences. Archived from the original on 16 October 2014. Retrieved 17 October 2014. ^ "What is a Passive House? [ ]". passipedia.org. Wikimedia Commons has media related to Architect.